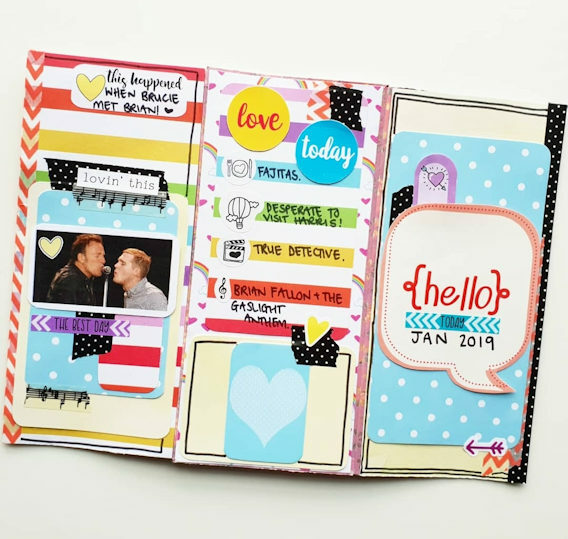 Hi, I thought it would be fun to make a little photo flip book with some of the things I’m enjoying at the start of 2019. I used an empty oatcake box as it was a good size and had the fold already made. I trimmed off the tops and bottoms and one of the sides so it wasn’t too big. I covered the joins on each side with a strip of washi and then used some pva glue to add strips of the kit papers to cover all the box. Once I had the box all covered I used some washi along the edges, just to make them a bit smoother. I had a couple of ideas of things I wanted to add. What I’m currently wishing for, my celeb super crush, my guilty pleasure, my favourite moment and then just a little list of my favorite food, where I’d like to visit, what we’re watching on TV and what music I’m listening to. Google had the perfect photos I could print for each page. 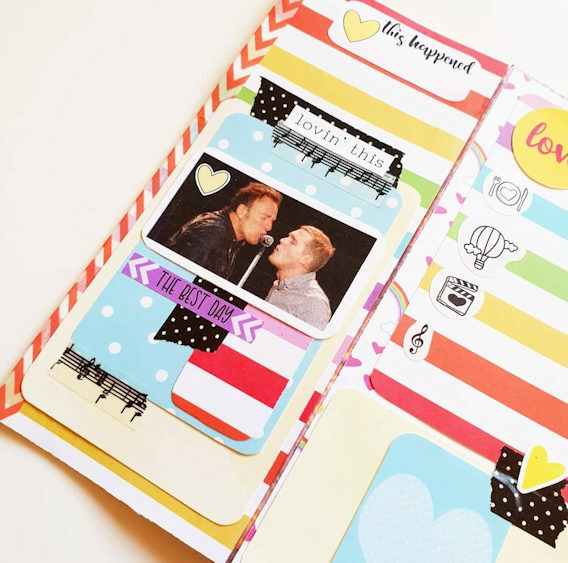 I layered them up on the papers and added lots of the embellishment bits from the kit to decorate each page. I’ve really loved the Zine in this months kit. 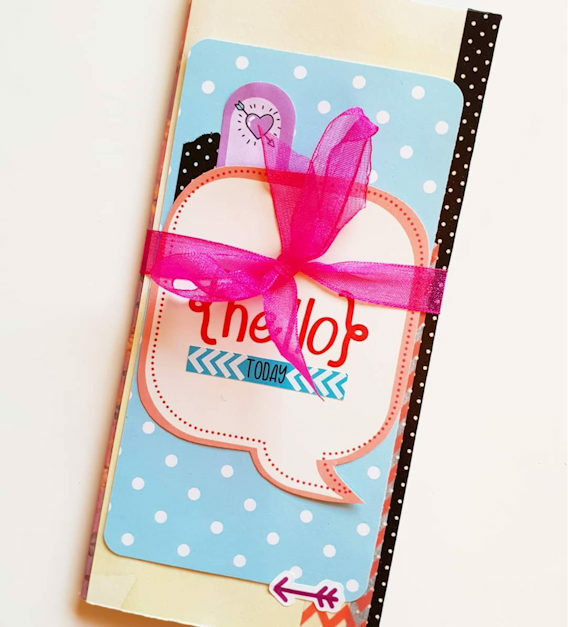 It’s perfect for cutting up and using as journaling cards or backgrounds in projects. 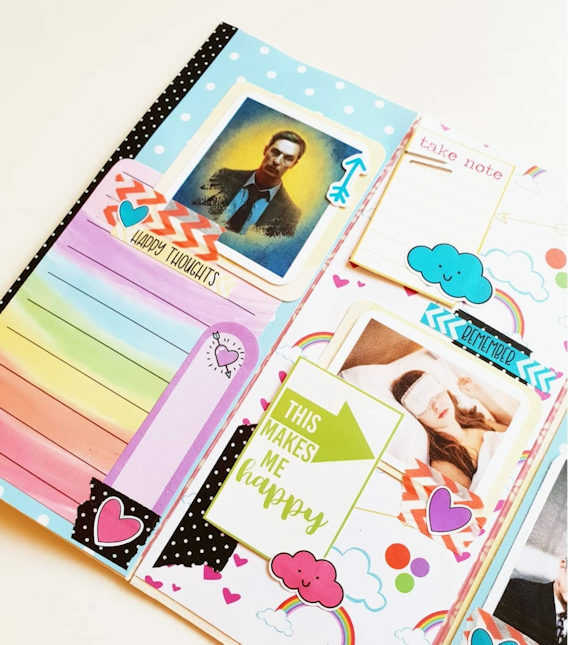 I’ve used the lined rainbow page here to journal on. I finished it off by wrapping some of the ribbon round and making a little bow to keep it closed. I’m looking forward to making a new one next year and comparing it to this one! I hope I’m not still wishing for sleep! Enjoy your Do What You Love kit!